Alien Ruins Found in Elite Dangerous | Nerd Much? 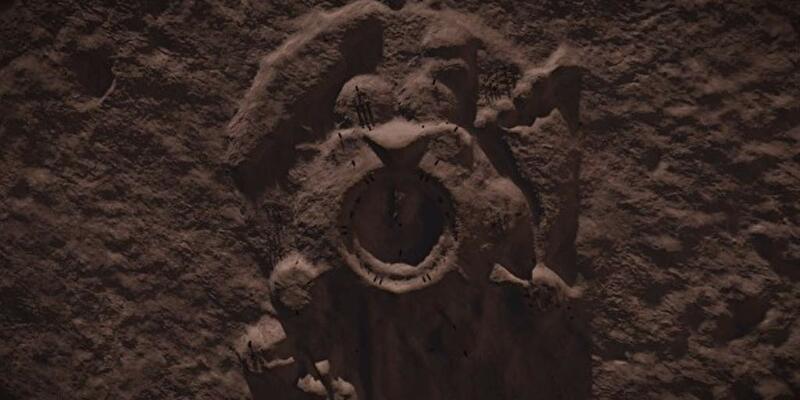 Not only have aliens been finally been found in Elite Dangerous, but now what players are calling “alien ruins” have been found at IC 2391 Sector ZE-A D101, Planet C3, Lat: 29.42 Long: -59.54. The buzz around this issue reminds me a lot of the face on Mars hype, back in the 90s. It got so big, there was even a movie made about it, Mission to Mars in 2000. The first encounter with aliens was a little while ago, but no less creepy. A great brown organic-looking thing would appear, and the player’s ship would be disabled as it passed. Once it was gone, everything was back online and working fine. Since then, many in the MMO community have speculated what the encounter means for the game as a whole and what players might need to do if a war is in the future. Now, these ruins are further taking the community by storm. Three of them have been found so far, the last of which is pictured in this post. Of this one, Xbox One player Cmdr Khenistry is credited with the find. The running theory so far, is that these ruins, and the earlier encounter are the Thargoids, an old enemy from the much older versions of the game. Some say it could be something else entirely, some kind of clue for the future. But who knows at this point. What do you think of these ruins? Do they remind you of something a little more silly than the face on Mars? Let us know in the comments below!